Unti Vineyards is a small, family-owned and operated winery specializing in red varietal organic wines with vineyard personality. George and his son Mick believe Dry Creek Valley’s climate is ideal for making full-bodied, fruity reds from Zinfandel, Rhone and Italian varietals. The winery, established in 1997, produces small lots of estate grown Zinfandel, Syrah, Grenache, Barbera, Sangiovese, Petite Sirah and a Dry Rose. 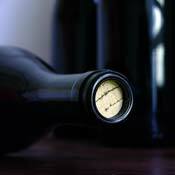 The winemaking includes artisan methods which enhance and support an ability to make wines with a sense of place. Almost all of the wines, and opinions, are unfiltered.